Union Minister of State (I/C) Tourism K J Alphons, Arunachal Pradesh Chief Minister Pema Khandu and Arunachal Pradesh Tourism Minister Jarkar Gamlin inaugurated two projects under Swadesh Darshan Scheme of Ministry of Tourism at PTSO Lake in Tawang, Arunachal Pradesh. These projects are ‘Development of Northeast Circuits: Bhalukpong- Bomdila – Tawang Project & Nafra- Seppa- Pappu, Pasa, Pakke Valleys- Sangdupota- New Sagalee- Ziro- Yomcha Project’. Other important dignitaries were also present on the occasion. 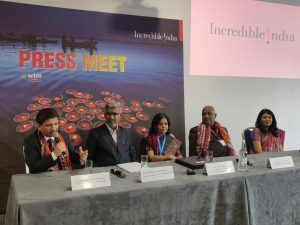 Speaking at the event, Alphons said, “The efforts of Ministry have shown positive results and the foreign tourist arrivals in the region have shown an upward trend over the years. 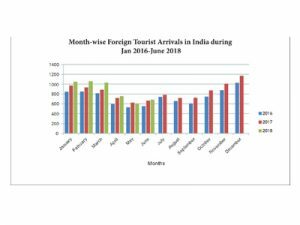 The region received a total of 1.69 lakh foreign tourist visits during 2017 as against 1.45 lakh in 2016 registering a growth of 16.7% over 2016. The domestic tourist visits reached to 95.47 lakhs in the year 2017 against 77.71 lakhs registering impressive double digit growth of 22.8% over 2016. The increased number of tourists in turn has created better employment opportunity for the local population in the region.” Under the project development of Bhalukpong- Bomdila – Tawang, the Ministry has developed facilities like accommodation, cafeteria, wayside amenities, last mile connectivity, pathways, toilets, multipurpose hall at Jang, Sorang Monastery, Lumpo, Zemithang, Bumla Pass, Gritsang TSO lake, PTSO Lake, Thingbu and Grenkha Hot Spring, Lumla, Sela Lake. The facilities developed under Nafra- Seppa- Pappu, Pasa, Pakke Valleys- Sangdupota- New Sagalee- Ziro- Yomcha include helipad, trekking trails, rafting centre, log huts, craft bazaar, eco park, tourist facilitation centres, parking, festival ground, etc. 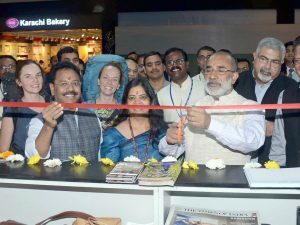 Union Minister for Tourism (I/C) KJ Alphons has inaugurated the Tourist Facilitation and Information Counter at Indira Gandhi International Airport in Delhi. The counter is located at the T3 arrival gates of the airport. Opening the first-of-its-kind facilitation centre for visitors, Alphons said that this shall be of great help to the tourists visiting the country. He further added that the counter shall cater to non-English speaking tourists also as the counter will be connected to the 24*7 Helpline – ‘1363’ of the Tourism Ministry where the tourists can speak directly with the foreign language agents and get guidance in French, German, Italian, French, Portuguese, Russian, Japanese, Korean, Chinese and Arabic. The Ministry of Tourism has set-up this counter with an objective to provide 24*7 information to both domestic and international visitors arriving into IGI Airport, New Delhi. The Tourist Facilitation Counter will be manned by two staff members and a supervisor to answer the queries of the tourists and also guide them with information. The counter is also stocked with sufficient high-quality tourist literature and brochures to be provided to the tourists. Along with it, the Tourism Ministry is also starting facilitation counters in Mumbai, Chennai, Kolkata, Gaya and Varanasi. The Union Cabinet chaired by Prime Minister Narendra Modi has approved signing of a Memorandum of Understanding (MoU) between India and Korea for strengthening cooperation in the field of tourism. The main objectives of the MoU are to expand bilateral cooperation in tourism sector, increase exchange of information and data related to tourism, encourage cooperation between tourism stakeholders including hotels and tour operators, establish exchange programmes for cooperation in Human Resources Development, encourage investment in the tourism and hospitality sectors, exchange visits of tour operators/media/opinion makers for promotion of two-way tourism, exchange experience in the areas of promotion, marketing destination development and management, encourage participation in travel fairs/exhibitions in each other’s country and promote safe, honourable and sustainable tourism. 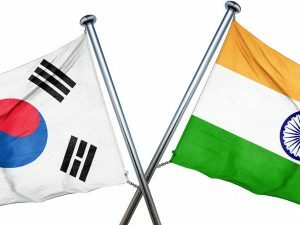 India and Korea have enjoyed a strong diplomatic and long economic relationship. The two parties now desiring to strengthen and further develop the established relationship for strengthening cooperation in the field of tourism. 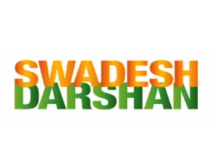 Korea is one of the leading tourist generating markets for India from East Asia. Signing of the MoU with Korea will be instrumental in increasing arrival from this source market. 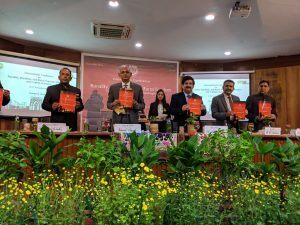 India has been ranked at the third place in WTTC’s new Power and Performance report, which looks at the performance of 185 countries over the last seven-year period (2011-2017) – after the financial crisis ended and when most countries commenced their journeys to recovery. At the first position in this list of Top 30 is China followed by USA. The countries have been ranked using WTTC’s annual economic impact data across four main indicators— total contribution to Gross Domestic Product (GDP), visitor exports (international tourism spend), domestic spending and capital investment. Countries were ranked in terms of absolute size of growth and speed of growth to create two separate types of rankings – power and performance rankings. China took the first place, driven by the strongest absolute growth out of all countries in three indicators – GDP growth, domestic spending and investment growth. The USA (with the largest total Travel & Tourism GDP) and India comfortably took the second and third place. 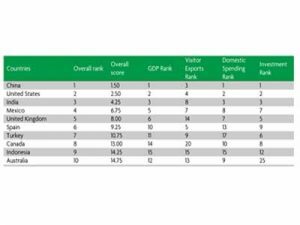 Mexico, a well-established Travel & Tourism economy, came fourth, driven by a strong performance across all four indicators.